Dustless blasting also known as vapor blasting, is an abrasive media technique used to clean and restore a wide range of different substrate types. This method is an Eco-friendly approach to cleaning and restoration in a wide variety of different projects. The fact that recycled glass bottles are used in this technique, it boosts the safety and quality of the environment. 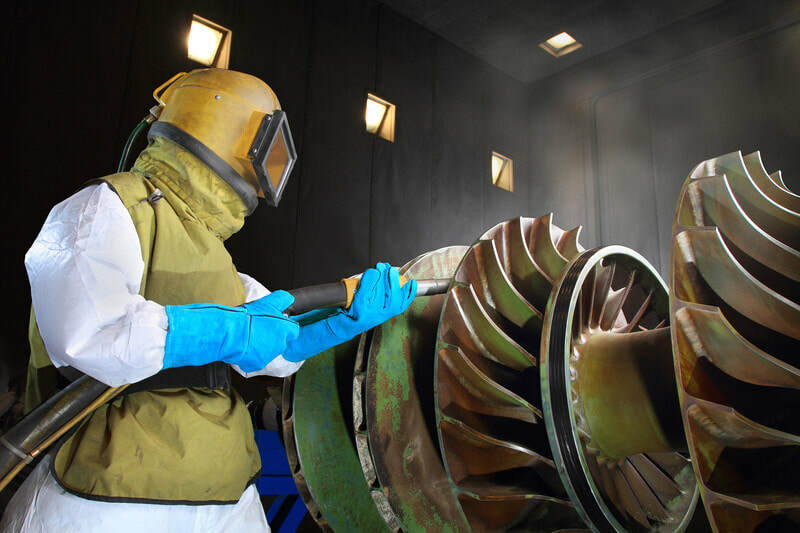 With dustless blasting you can get specialty quality rust removal, corrosion removal and more using this as an inhibitor for many different element type on any surface. This service involves high pressure compressed blasting with the mix of water and tiny glass fragments to effectively remove just about anything from the substrate surface. We know dustless blasting and when to use it! Dustless blasting is safe and there is no need for extra containment while the work is being done. Dustless blasting can be done virtually anywhere and provide a safe application of work within the atmosphere. This type of blasting with the media components makes for easy prep and cleaning of any surface for restoration, despite treatment. It's is quicker and easy to apply, and provides the ability to successfully complete the project with lesser cleaning at the project site or on the substrate. ​Also dustless blasting won't warp any thin metals as opposed to its cousin sandblasting. 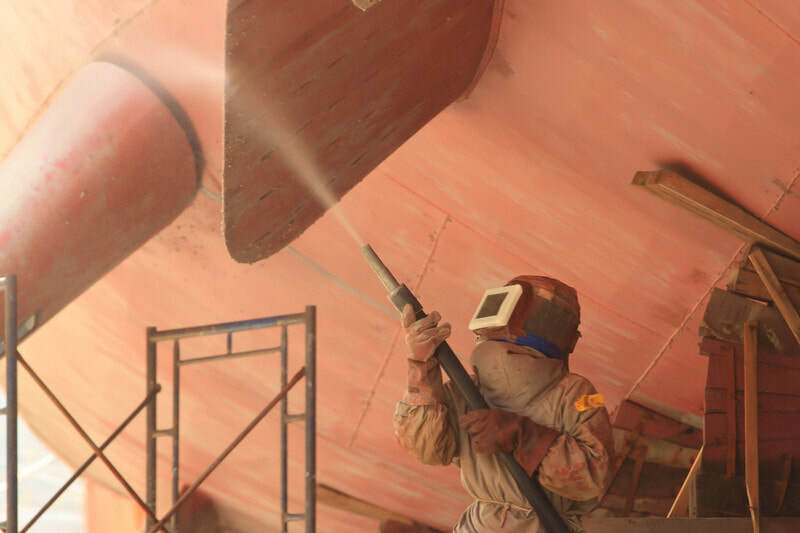 Dustless blasting can be used for a wide array of different projects such as vehicles and boats, residential homes and different building types, industrial and commercial use and wood restoration. When it comes to dustless blasting it is highly advantageous for these different project areas as it provides on of the best results in application. ​It is safe and provides no dust when it comes into contact with other people or animals and it won't ruin any surface or different substrates. Dustless blasting is perfect for removing toxic coating such as lead and asbestos abatement. This type of service can be done in any weather condition as well. 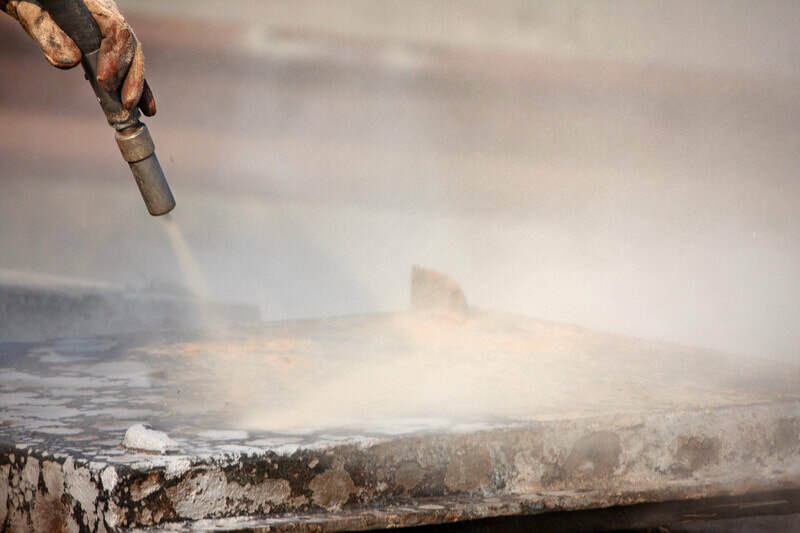 Dustless blasting is also best used for projects like removing paint, stains lacquer and polyurethane and more from substrates and can even reshape the surface of wood. ​As beneficial as it is safe to use for automobiles and boats, it won't cause any damage to fiberglass, aluminum, or steel and improve the integrity of these metals. Also it will remove rust, watermarks and definitely paint from the boat or vehicle. Why choose us for your blasting project! There are many services that we offer with similarities, but if you like an environmentally safe and effective way with virtually no dust for cleaning any type of surface, a dustless blasting will be the best option for you. We make sure that we do any project, anywhere without risks, and a dustless blasting will provide a risk free atmosphere. We mix water and recycled glass compound mixture, and blast with high pressure and compression to get the surface on any substrate clean. From automobiles to wood surfaces, we can execute the best blasting techniques to get the job done. We also get the job done quickly and in a faster turnaround time, rather than you using and older method services to get the work done. ​Our dustless blasting service is unique and can be tailored to your needs.